A curvaceous Italian dressed in piano gloss black. 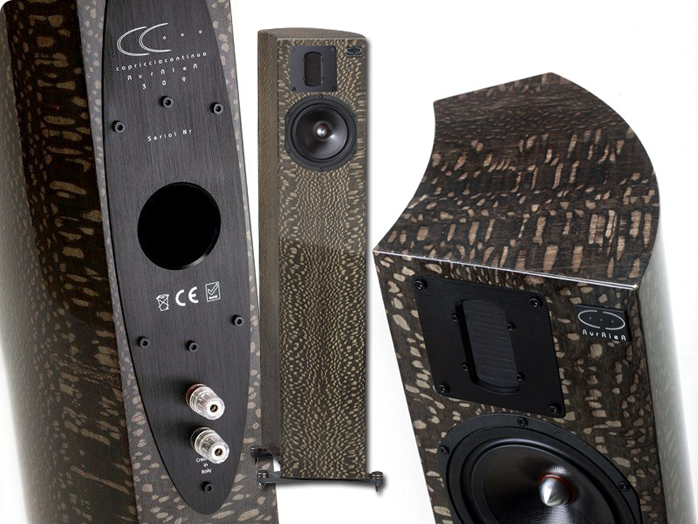 Although a fresh face in the North American market, Capriccio Continuo is a long-established player in the European audio community where it enjoys a rich company heritage. The name comes from two musical terms: capriccio and continuo. A capriccio is a short fast and enjoyable musical piece. Continuo means continuous. The two refer to the company‘s philosophy of bringing joy through music and the evolutionary non-obsolescent nature of their designs. The 3 dots in the company logo are a further reference to continuity. For those unfamiliar with the company, a brief historical tour is in order. Founder Joseph Szall started his career in audio as a hifi journalist in 1977 but also by acting as a research consultant in drive unit technology and speaker system design. In 1981 he started his first company Audio Physics (not to be confused with the German firm Audio Physic then helmed by Joachim Gerhard) which manufactured the Utopia series of speaker systems between 1981 and 1987, the top model being the Synopsis, a pyramid-shaped floorstanding 3-way system with a ribbon tweeter. In 1985 Audio Physics evolved into ATD or Advanced Transducer Developments, a company specializing in OEM electro-acoustical developments as well as R&D for other manufacturers. Currently third-party and OEM R&D still represent the greatest part of ATD's business and several high-end speakers firms utilize ATD drive units or design and construct at ATD. The company has also developed a number of proprietary technologies like 'Hypergraph K' and 'Ariacell GTi' cones, 'Transfert 0 squared' and 'T20' crossovers plus FAST (floating aero striction tweeters). In 1990 ATD acquired the English Myst brand, an electronics company dating back to 1983 which produced a broad range of product from hybrid tube/Mosfet and Mosfet amplifiers to CD players, D/A converters and speaker systems. In 1991 and under the Myst brand ATD introduced one of the first digital correction devices for speaker systems developed in cooperation with Dr. Malcolm Hawksford and Dr. Richard Greenfield of the University of Essex. In 1991 the reference speaker system Capriccio Continuo launched within very carefully chosen limited distribution. It was intended as an evolutionary system to allow customers to upgrade from the standard to the 'Z' version by changing the driver and outboard crossover. 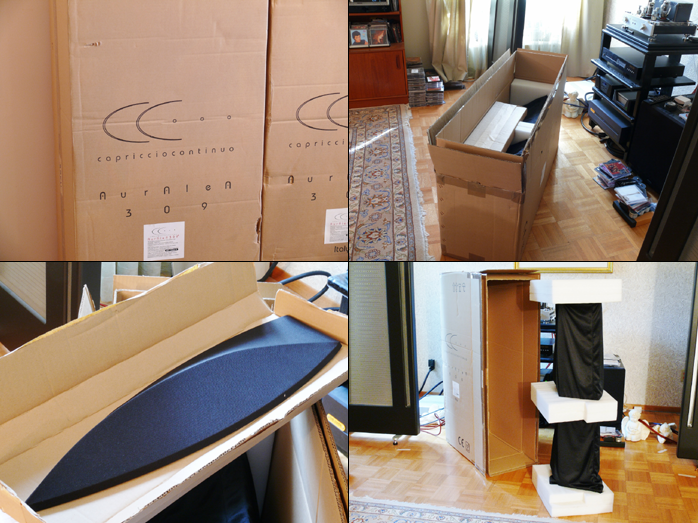 The 'Z' variation of the speaker highlighted the Transfert 0 crossover technology of Christian Yvon who designed the famous Goldmund speaker systems plus the ATD-Gölich/Zellaton driver evolved from the Zellaton sandwich structure first introduced in 1934. In 2005 the new Capriccio Continuo Admonitor, Admonitor Preference and Submonitor models incorporated the arrival of the new and highly improved generation of sandwich-cone technology in the Graphite Titanium (Ariacell GTi) units and addressed the new demands of multi-channel music. In 2009 came the Première! Admonitor with the FAST, T20 crossover and 5” AGTi3 mid/woofer. And that brings us to the present day and the Auralea 309 Performance, a two-way floorstanding model that features their 3rd generation Heil-derivative floating aero striction tweeter and a 6.5” mid/woofer using an IMN cone (isotact matrix nano), a 5th generation mono composite with nano-carbon enhancements. The first thing that strikes you about the Auralea 309 isn’t the nomenclature of technologies but unusual cabinet design. The graceful curves of this tall slender speaker aren’t frivolous fashion statement but a true case of form follows function. The principle used is the arch dam with the inner side concave, the outer side convex, internally very heavily braced and damped, front and rear panels non-parallel. The entire rigid structure is designed to control and eliminate resonant behavior. The review pair came finished in an elegant gloss black lacquer, currently the sole available choice.